The 1964 record Beatles for Sale, the fourth LP in the Fab Four’s discography, put the band’s road weariness on display. The smiling, jumping, life-filled young lads depicted in the A Hard Day’s Night film just a few months earlier had become more cynical, more emotionally complex and, somehow, more adult. The title of the album served as a commentary on the price of fame and the commodification of art. 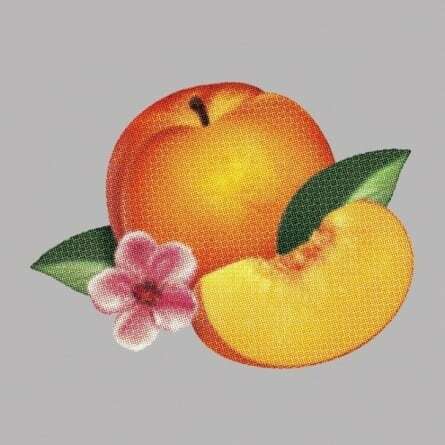 It’s entirely possible that someday music historians will view Bankrupt!, the fifth record from the French quartet Phoenix, in a similar manner. Sure, the members of this indie-(if the term still applies) pop group catapulted to fame much later in their careers than the Fab Four. 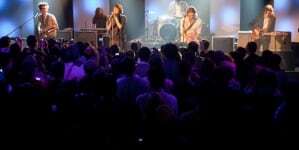 Thomas Mars and company made several good albums and played small clubs throughout the world before “1901” and Wolfgang Amadeus Phoenix somehow made the band a virtual household name, leading them to play “big stages” like Madison Square Garden and “Saturday Night Live.” But, when one considers the trajectory of Phoenix’s career so far, Bankrupt! falls at a comparable place to the Beatles’ fourth record. It also seems to speak to a similar surreal experience, namely young musicians from humble origins finding themselves suddenly, inexplicably running in elite circles. 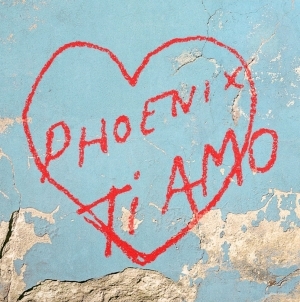 The title of Phoenix’s latest disc isn’t a description of the group’s financial state but rather an evocation of the feelings of emotional emptiness that often befall those cast into the spotlight. While “Entertainment” and “S.O.S. in Bel Air” are well-constructed pieces of pop perfection, they aren’t the only high points on the record. The chorus of “The Real Thing” has a rather irresistible melody. “Bourgeois” weaves in and out different grooves and moods, creating a collage of sundry emotions. The acoustic guitar at the end of album closer “Oblique City” captures a kind of sublime simplicity, a calm after a storm of synth choirs. 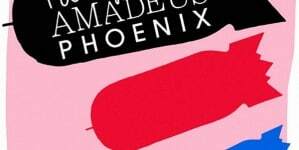 Despite all of Bankrupt!’s many pleasures, the question remains whether it represents a step forward for Phoenix’s artistic development. 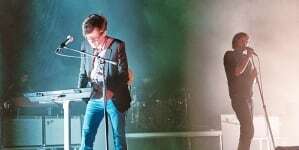 Most of the tunes follow a similar songwriting formula as those on Wolfgang Amadeus Phoenix—the epic choruses, the poppy riffs, the scattershot, stream-of-consciousness lyrics. Bankrupt! 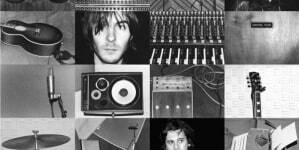 even features a mid-album slow-building, slightly experimental soundscape (the title track) that functions like Wolfgang’s “Love Like a Sunset.” The main difference between the two records is that Mars and company have substituted guitars for a sea of synthesizers, which results in a colder, more artificial sound. When coupled with the lyrics about emptiness and missed human connections, there’s something almost sad about this shimmering surface, as if the group is replacing durable artistic innovation with mere cosmetic changes. If Phoenix has become somewhat formulaic, one thing’s for certain: they sure as hell have mastered their method. Maybe Bankrupt! is in fact Phoenix’s Beatles for Sale, a downtrodden response to overwhelming fame. If this is the case, let’s hope the group’s Rubber Soul—something that will blow our minds and take us in unexpected directions—will come someday soon. The four men from Versailles have proven over the past ten years that they are capable of such an accomplishment. Breezes along at an inoffensive clip.